NJ Generac Generator in Farmingdale, Meet Richard L.
We know that trying to find best Generac Authorized Sales & Service Dealer in Farmingdale, NJ can be one of the most challenging parts of the Generac generator installation process. Hopefully, you can stop searching now! 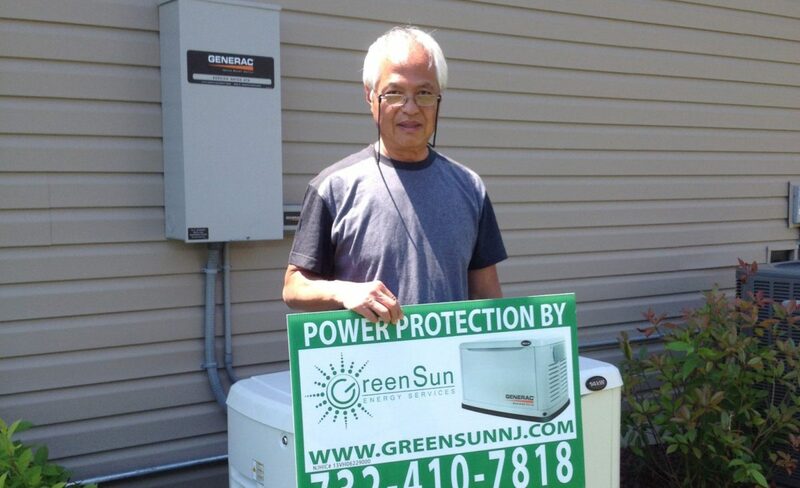 Locally owned and operated, Green Sun Energy Services is protecting Richard, along with hundreds of other homeowners from unexpected power outages. Together we can help find the right Generac home backup solution for you and your family. Richard & His Family Will Never Go Without Power Again!